In the latest issue of Figure King magazine, two upcoming DC Films figures were showcased. 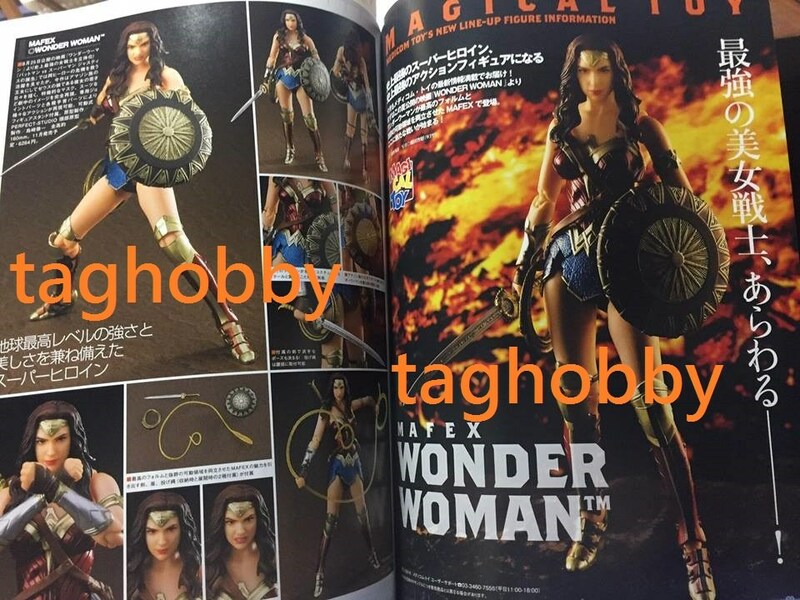 The scans give us a look at the MAFEX Wonder Woman, based on the Wonder Woman Movie. this figure looks to be similar to their previously released MAFEX Wonder Woman from Batman v Superman. 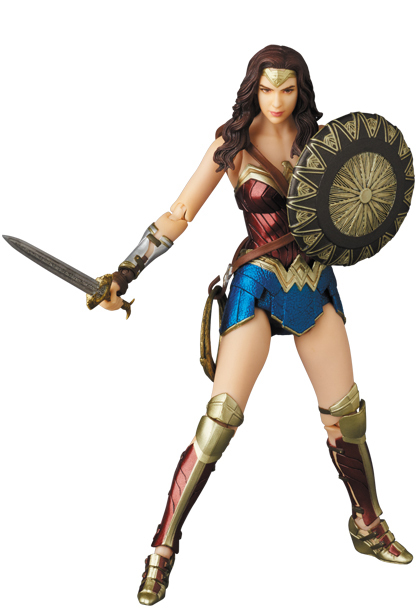 However, some of the accessories are different, such as a new shield, a new head sculpt and a different Lasso of Truth.It looks as if the figure is scheduled for a November release and will be priced at 6,264 Yen (about $55 USD). 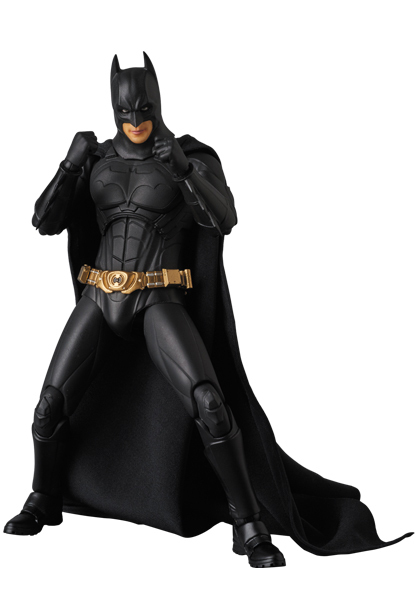 Also shown in the scans is a new MAFEX Batman in his Batman Begins Suits. The figure looks to include a removable cloth cape, a swap out chest with and without the Bat symbol, masked and unmasked head sculpts, interchangeable hands, weapons and more. Looks at the scan, it appears as if this Batman figure is due out in November. Pricing appears to be listed at 7,344 Yen (about $65 USD). 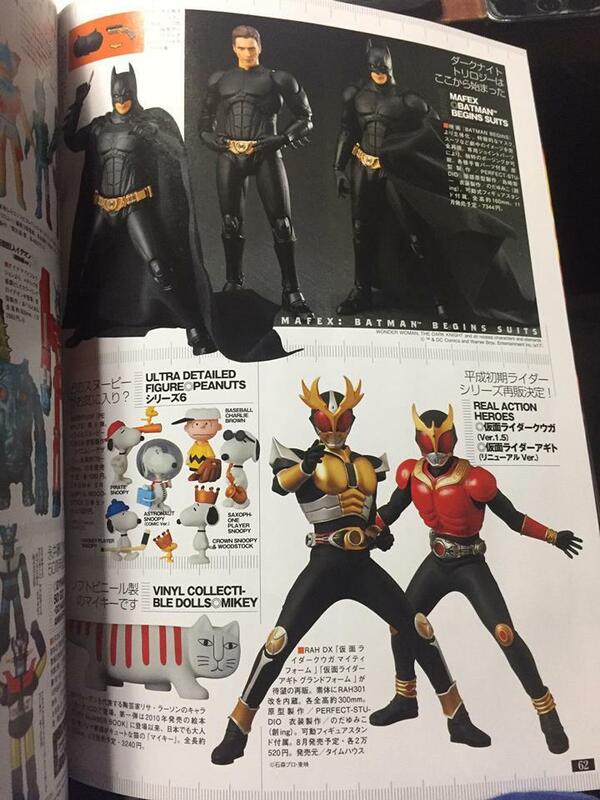 These scans come via Tag Hobby. We’ll share new official images and details on both figures as news becomes available. Read on to check them out.